and it showed zero reviews. Well of course I couldn’t handle the book having zero reviews! So I clicked on the link and saw that there was now a 2 star review. I ‘bought’ the free book and quickly read it and completely disagree with the 2 stars. Here is my short review. It’s a good story for a short story thriller. This book starts off with the reader knowing it is eleven pages and a short story. The author is able to create a story that spans so many years yet makes complete sense. 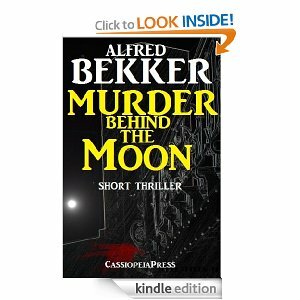 I was intrigued and the author did a very good job at winding us through history up to the very last word that semi solves a mystery that I think should have been titled, “Murder under the Moon” but it’s a good short story and the thriller part is the murder of a child and I won’t spoil the rest of it for you. No bad language, no sexual situations or words, but for the murder of a child. Not recommended for YA. It held my attention and I actually enjoyed reading it. It is a solid story. Previous: Come over to Goodreads and join the group!